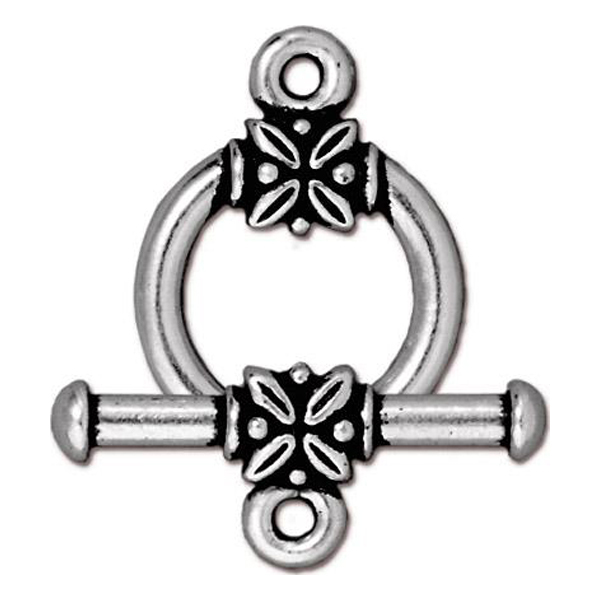 Fine Silver plated toggle with a flower design in an antique finish. Approximately 17mm in length. Great for either necklace or bracelets. Made in the US by TierraCast.